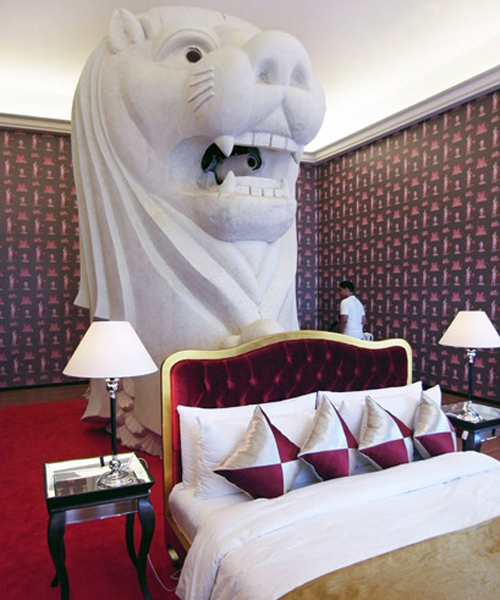 the merlion hotel — a temporary art installation that was part of the singapore biennale 2011 — closed on may 15 and the hotel’s furnishings have found new homes. 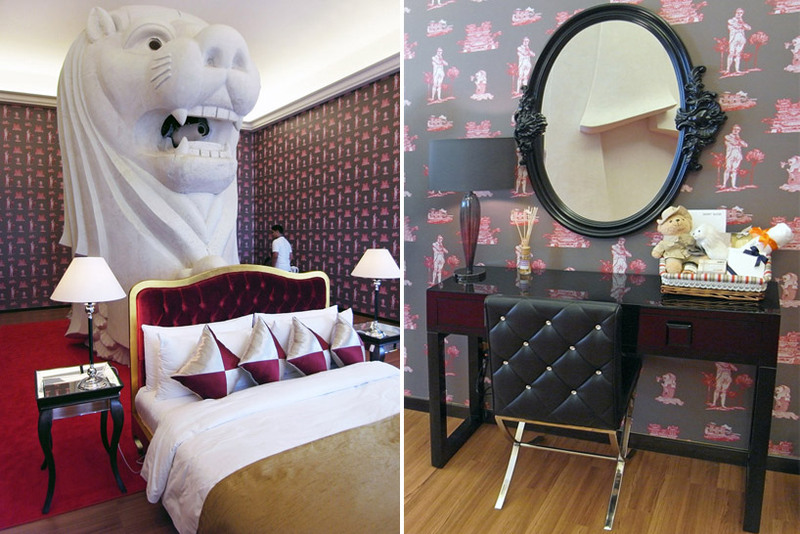 the hand-picked furnishings and artifacts by artist tatzu nishi (from king & king wong) were sold as a memento for as little as SGD 21.75 — the sales of vases, photo frames, ornaments, writing tables, sofas and even the queen-sized bed made more than SGD 10,000.
the money will be donated to SAM singapore art museum. as for the merlion, it’s back to business as per usual — spouting water and cheesy photo duty — in three weeks time.